QSL to HC2/SM6FKF, HC2/SM6LJU, HC2/SM7BUA or HC2/SM7NDX via homecalls. Please enclose a proper stamped valid IRC or $2 for the return postage. QSL without IRC or $2 will be returned via the buro. December 15, New pictures from HD2M. December 11, We are now back home again. We could´nt make any contacts at the WARC-bands, because we had no antennas and no time to make dipoles. 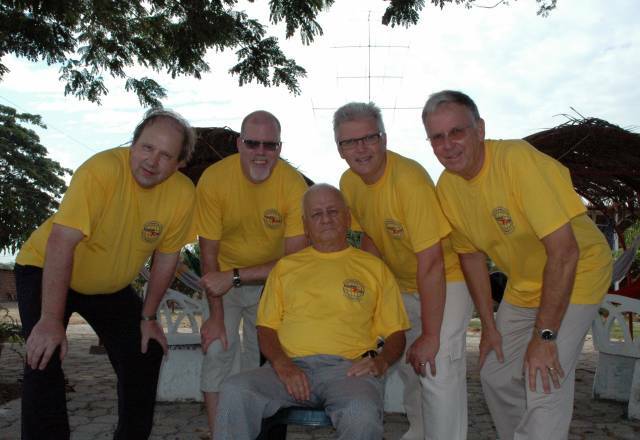 HC2/SM7NDX worked some RTTY, but we got problems with the microHAM, so he made only 46 QSO:s.
October 25, SM7BUA is now in Ecuador. He is a tourist guide for 2 weeks. After that he will visit our QTH in Nobol.